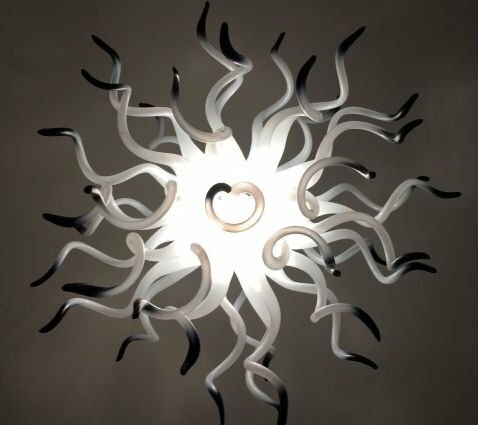 Bloom - Blown Glass Collectives Chandelier Giveaway! Light Up Your Summer Evenings With This Spectacular $3,600.00 One-of-a-Kind Custom Hand Blown Glass Chandelier from Blown Glass Collective. Enter now! One-of-a-Kind Custom Hand Blown Glass Chandelier.